Jan. 16, 2014—William O. Cooper, M.D., MPH, Cornelius Vanderbilt Professor of Pediatrics, professor and vice chair for Faculty Affairs in the Department of Pediatrics, and professor of Health Policy, has been promoted and will have two new roles. He will now also serve as associate dean for Faculty Affairs within the Faculty Affairs & Career Development Office in the Vanderbilt University School of Medicine and as director of the Vanderbilt Center for Patient and Professional Advocacy (CPPA). Jan. 16, 2014—Becker's Hospital Review has named Vanderbilt University Medical Center to its list of “100 Hospitals With Great Orthopedic Programs,” which recognizes the top hospitals with orthopaedic surgery departments, programs or dedicated centers. Jan. 16, 2014—Neurodevelopmental outcomes of premature infants with post-hemorrhagic hydrocephalus is the subject of a new research study at the Monroe Carell Jr. Children’s Hospital at Vanderbilt. Jan. 16, 2014—More independent work environments may lead to reductions in autism symptoms and improve daily living in adults with the disorder, according to a new study released in the Journal of Autism and Developmental Disorders. Jan. 16, 2014—Two Vanderbilt University Medical Center investigators recently received awards from the ATS Foundation and its partners to support their lung disease-related research efforts. Jan. 16, 2014—Beginning Wednesday, Jan. 22, Vanderbilt University Medical Center’s Courtyard Café will host a healthy food tasting in the dining area on the fourth Wednesday of every month, from 11 a.m. to 1 p.m.
Jan. 16, 2014—At last week's Flexner Discovery Lecture, David Sabatini, M.D., Ph.D., described how a cellular network called the mTOR pathway regulates cell growth and metabolism. Jan. 16, 2014—Vanderbilt University School of Nursing was recognized as the Community Partner for the Year 2013 by Prospect Inc., a local nonprofit organization with home and day support services and employment training for individuals with disabilities over the age of 18. Jan. 16, 2014—Peggy Buchanan, who runs the Vanderbilt Clothes Closet, has hundreds of stories. As the lead guest service representative for Hospital Guest Services, she has helped her share of patients and visitors.  Jan. 16, 2014—In preliminary testing, Vanderbilt Home Care Services (VHCS) has found that Internet-based remote patient monitoring reduces hospital readmissions for patients with congestive heart failure (CHF) who are receiving home nursing visits.